Jonathan asks Metuh to pay N1bn travelling expenses to appear as witness – Royal Times of Nigeria. 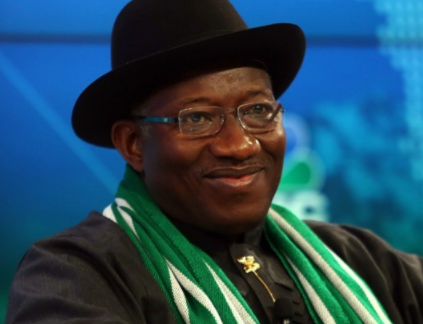 Former President Goodluck Jonathan on Monday asked the Federal High Court, Abuja, to set aside the subpoena ordering him to appear in court as a witness to testify in defence of a former National Publicity Secretary of the Peoples Democratic Party (PDP), Olisa Metuh. It could be recalled that Metuh asks the court to allow him to call Jonathan as a witness in his case, the court then orders Jonathan to appear as a witness. But, in the continuation of the case, Jonathan defiled court order. Metuh, however, says he would not be used as a betrayer. Jonathan now seeks an order directing Metuh to deposit with the court for and on behalf of him, the sum of N1 billion to cover travelling expenses for himself and his security personnel from his hometown, Otuoke in Bayelsa, to Abuja. The money, according to the former President is also to cover the time that he may spend appearing before the court as President of Nigeria between 2010 to 2015. The former President contended that his request was in line, with the provisions of Section 241(2) of the Administration of Criminal Justice Act, 2015.